The Price of Aid by David C. Engerman is a fascinating account of how the economic cold war shaped the first 25 years of independent India. 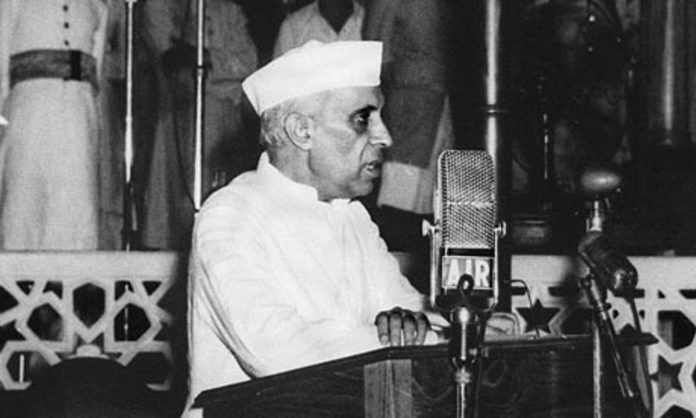 The Indian political leadership had two ideas of India after independence: One that was wedded to the ideas of self-sufficiency and socialism with “Indian characteristics” and the other were those who leaned towards the West. However, America and Russia had their own ideas of India as well, to advance their geopolitical interests. 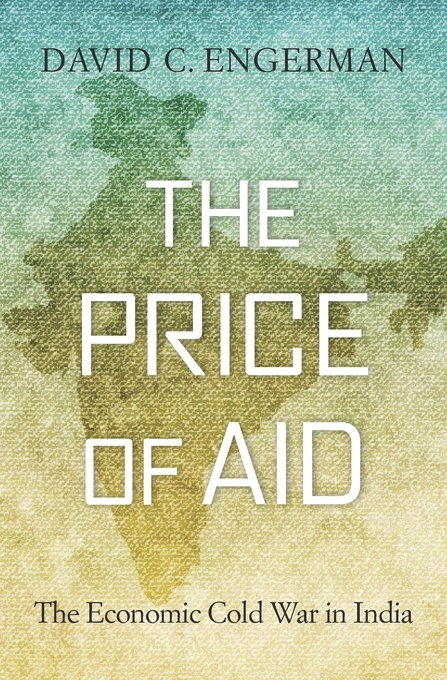 The Price of Aid by David C. Engerman is a fascinating account of how the economic cold war shaped a newly-independent India. The study does not reflect on the entire Cold War, rather it covers the first 25 years of India’s independence. In 1975, India signed ‘joint economic commissions’ with both superpowers. The mid-1970s witnessed significant political turmoil within India itself. Armed with an assortment of archival sources across various countries and complemented with published scholarly work, Engerman has woven together an absorbing narrative of how development aid to India came at the cost of state power. Ideas of self-sufficiency, socialism, democracy and capitalism are furthered in India through a melting pot of domestic politics, foreign policy and economic ideals. This is what the author has termed as “development politics”. India was following a state-driven model of industrialisation, led by physical planning targets, as laid down by the 2nd Five Year Plan (FYP). However, as the 2nd FYP progressed, it became clear that the financial implications required external assistance. This is what led to the invention of development aid, the author argues, and that this also created a competition for aid between the West and the Soviets, each looking to further their geopolitical agenda. Therefore, aid became another instrument in the Cold War arena. India’s centralised planning system initially lent itself well to Soviet aid, which was project based. This is perhaps best exemplified by the Bhilai steel plant, documented extensively in the book. American aid centred around technical assistance, community development, irrigation projects such as the Damodar Valley Corporation, or the PL-480 programme, which provided much needed foodgrains to India. What India needed was general budget relief, or untied funding, as the author puts it. With the emergence of a foreign exchange crisis, the need for untied funding in India arose, which drove them towards the West. The type of funding for development still dominates debates around the transfer of funds from the Centre to the states with the latter demanding more autonomy in the use of funds. An interesting aspect of this book is how Indian bureaucrats were able to leverage American and Soviet aid to further their ideas of economic policy. This is brought out through several examples. Highly distinguished statistician P.C. Mahalanobis created a flow of foreign economists and planners at the Indian Statistical Institute in Kolkata that “helped him advance his vision of a centrally planned Indian economy with a strong heavy industrial sector under public ownership”. Similarly, Homi Bhabha furthered the Indian cause of atomic energy by pitting the Soviets against the Americans. Foreign resources were therefore deployed to fight internal battles as well. This raises the question as to whether a united national front may have been able to better leverage the considerable resources of the West and the Soviet Union for the development of India, while maintaining sovereignty. The existence of divergent ideas of India in the Indian political leadership allowed foreign powers to make inroads in domestic policy matters. The price of aid is that development politics “disrupted domestic politics in relatively stable and institutionalised states like India”. However, the fact remains that India’s dream industrial expansion plan was woefully underfunded, which created a reliance on foreign aid. Military events such as the wars with China and Pakistan exacerbated the need for military aid. The adage, ‘there ain’t no such thing as a free lunch’ rings true. Development aid thus brought with itself a certain degree of conditionality. For example, the Washington Consensus tied this non-project aid to changes in macroeconomic policies. This leads Engerman to argue that India was unable to form development priorities beyond the realm of the superpowers’ interests. Overall, The Price of Aid is an absorbing read and makes important contributions to our understanding of India’s economic history. It also significantly furthers our understanding of how the Cold War influenced economic policies in the so called ‘Third World’. The book chronicles the playing out of development politics; however, it makes no judgements on the effectiveness of external aid, whether in the Soviet or Western form. Scholars of the Cold War, Indian history and economists alike would benefit from this engaging read.